Your First Luxury Car? Here’s What You Need to Know. When you decide to take the plunge and pursue your first luxury car, it’s a big moment. You’ve spent years admiring the Benz’s, BMWs and Porsches of the road, and now it’s your chance to be a part of the club. But the decision also comes with its fair share of question marks: what’s the best luxury car for me? What’s the best way to attain a luxury car? And where do I start looking? 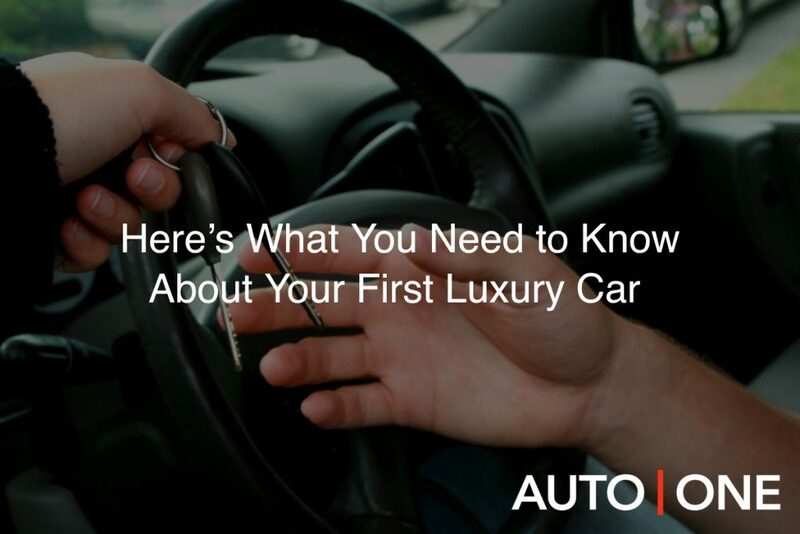 In order to answer these questions, we’ve put together a short guide for first-time luxury car owners. As your premier luxury car dealership in Toronto and Vancouver and Halifax, we know a good amount of the varying needs of our clients, and we hope to share some of that knowledge as you venture to find your first luxury car. Before we delve into payment options, let’s take a while to consider how to choose the right luxury car for you. Choosing the right car isn’t simply about comparing car magazine reviews; often, those reviewers have a specific set of criteria that has little to do with how you will actually enjoy your car. Sometimes, these qualities can be at odds. It can be difficult (though not impossible) to find a fuel-efficient car that has a powerful engine, or a small, two-seater that has a lot of trunk space. You have to weigh out your needs and prioritize them. Once you’ve done this, and you have a good sense of what type of car you want, it’s time to dive into the research. To get you started thinking about the many, many different types of luxury cars out there, let’s look at a few options. We’ve chosen some of the best-selling luxury cars in Canada to spotlight since it’s the popular luxury cars that often carry the broadest appeal for first-time owners. 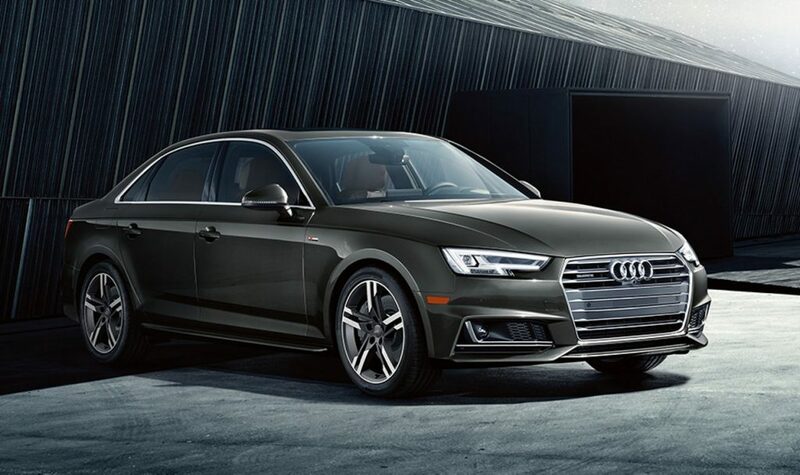 Audi A4: The Audi A4 is a classic first luxury car choice, because it is, essentially, the Goldilocks of luxury vehicles. It’s not too big, not too small, not too expensive but not cheap. As one answerer on Quora put it: the A4 is the perfect luxury car for a beginner driver because it’s fast without being difficult, and can dip and dive on the highway with great adeptness. BMW 3-Series: If it’s a BMW you want, and affordability you care about, look no further than the 3-series. There are a few different cars here to choose from, depending on what size and powertrain option you want. It’s no wonder the 3-series ranked highly on Car and Driver’s Entry-Level Luxury Cars feature. Lexus RX Hybrid: If you want something big and safe, but don’t want to spend a fortune on gas, consider the Lexus RX Hybrid, an SUV with great mileage and ample safety features. As an added bonus, it is also one of the lesser expensive examples of a luxury vehicle. Porsche 911: And then there’s the opposite end of the spectrum. If you know that you want your first luxury car to be a really special one, and want to cut right to the cream of the crop, consider the Porsche 911. It’s a fast ride, but not a challenging one. And with our affordable lease rates and car subscription service (more on that in a moment), it’s not nearly as expensive as you might think. Now that you have researched what kind of car you want, and narrowed it down to a specific make and model, it’s time to consider how you want to get your new car. You have three basic options: you can buy it outright, lease it, or join a car subscription service. In the interest of getting you the best price on a first luxury car, let’s focus on the latter two options. Leasing: At AUTO ONE Group, we are pretty passionate about leasing, and many of us are lessees ourselves. When you lease a luxury car in Toronto not only do you pay lower monthly payments, but it also allows you the flexibility to try out new cars every two to four years, without having to go through the hassle of selling your old one. There is also a steep tax advantage with leasing as opposed to purchasing since you pay the taxes on your monthly payments, rather than the full cost of the automobile. Car Subscription: The newest way to get behind the wheel of your first luxury car is with our luxury car subscription service in Toronto Vancouver and Halifax – called Drive. It’s an easily downloadable app that allows you to choose your car and payment plan, then swap, renew or cancel your ride on a monthly basis, as you see fit. For the indecisive driver out there, that means that you can test out a bunch of different luxury cars over the course of a year. Driving your first car may have been a complicated and humbling experience, but driving your first luxury car is going to be awesome. With the proper research, some weighing out of options and the best lease and subscription services in Canada, you are guaranteed to be driving the car you want for the price you want to pay.